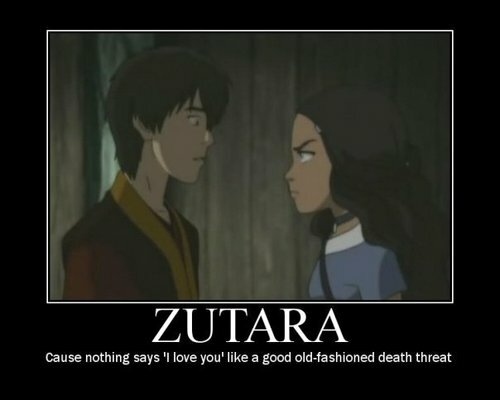 Zutara. . Wallpaper and background images in the Avatar The Last Airbender club tagged: avatar the last airbender katara zuko love. This Avatar The Last Airbender photo might contain potret, headshot, closeup, headshot closeup, anime, komik, manga, kartun, and buku komik. lol! I like this a whole lot. I really do.